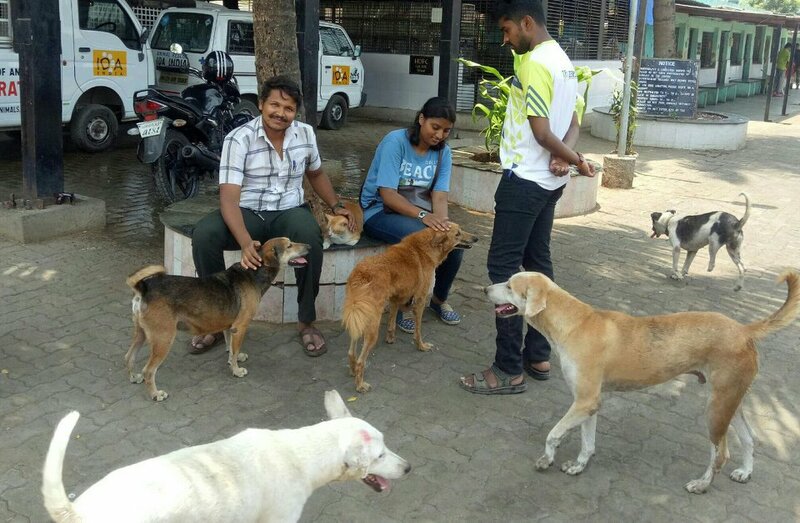 This group of young people stay nearby our Centre. 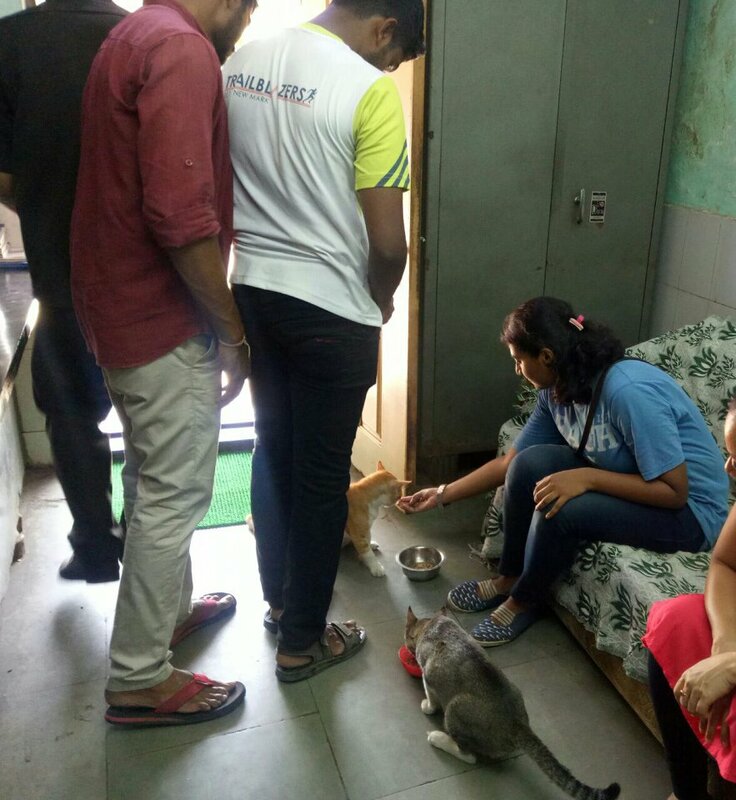 They really care for animals and come in to spend time with the animals at our Deonar Centre. 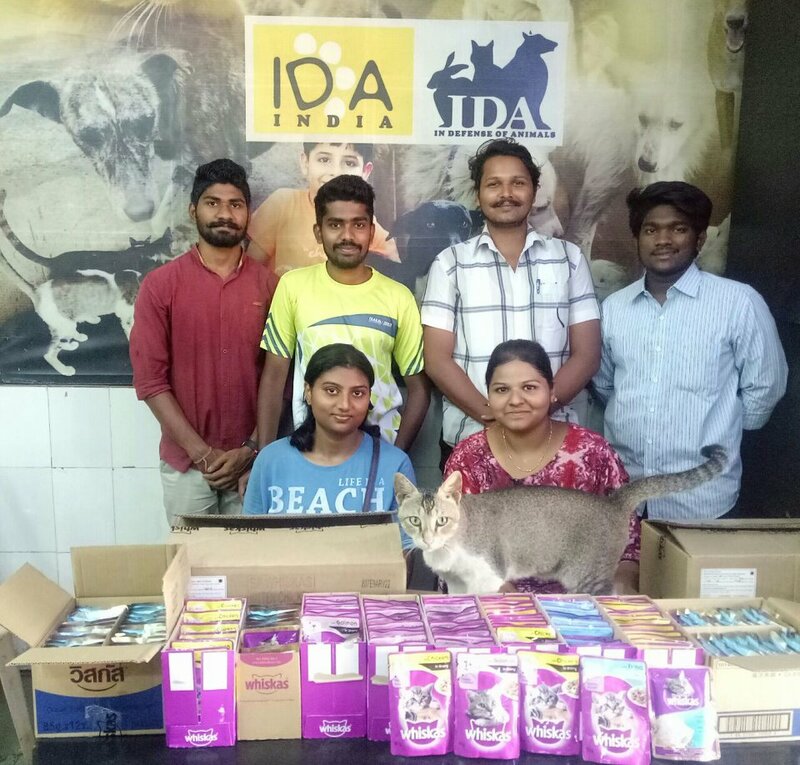 Yesterday they brought gifts for the resident cats and kittens; plenty of yummy treats which two of our resident cats started sampling at once!They also took pack with them two water bowls to install in the location for street animals to quench their thirst.The cats wish list had been sent to their watsapp group on request and the group was kind enough to respond so generously.